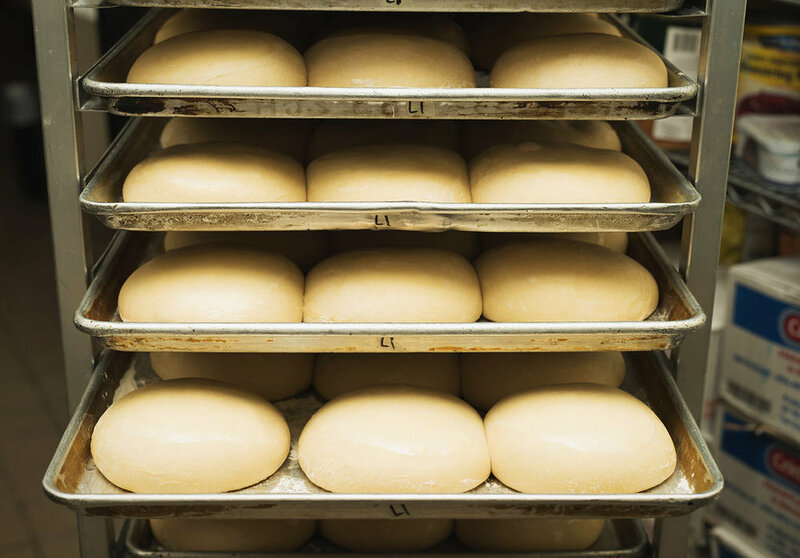 Each day we make our dough from scratch, hand roll it and let it rise naturally. We slice many of our fresh toppings in house, including our California mozzarella cheese. We also make our marinara and ranch sauce in house. Pizza the old fashioned way! Pepperoni, mushrooms, white onions, green bell peppers and Italian sausage. Pesto, mushrooms, white onions, black olives, chicken and garlic. Pepperoni, salami, mushrooms, ground beef and Italian sausage. Mushrooms, white onions, green bell peppers, black olives, tomatoes and garlic. Ranch, mushrooms, green onions, black olives, chicken and garlic. Bar-B-Q sauce, red onions, chicken and crumbled bacon. Ranch, pepperoni, mushrooms, green onions, tomatoes, garlic and sausage. Olive oil, feta, red onions, tomatoes, baby spinach, artichoke hearts, and kalamata olives*. Pesto, feta, red onions, baby spinach and kalamata olives*. Olive oil, thinly sliced tomatoes, garlic and oregano. Pepperoni, pineapple, jalapenos, garlic and sausage. Bar-B-Q sauce, ham, pineapple, bell peppers, red onion and bacon bits. Ask about this months pizza of the month. Take a cheese pizza and turn it into your own creation. Mushrooms, artichoke hearts, green bell peppers, red, green and white onions, tomatoes, black and kalamata olives, jalapenos, garlic, pineapple and baby spinach. Pepperoni, salami, ham, chicken, anchovies, crumbled bacon, ground beef, meatballs and Italian sausage. Marinara, pesto, artichoke pesto, ranch, Bar-B-Q, olive oil and Sonoma garden. 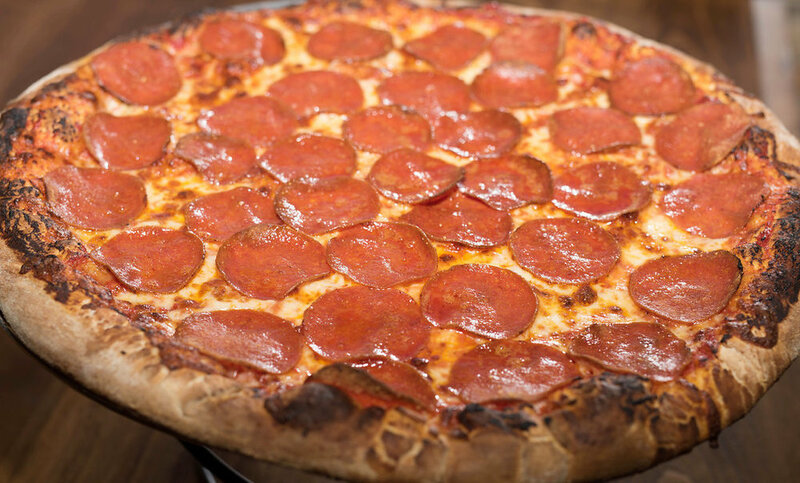 *Please note that we offer a gluten-free menu, using a certified gluten-free crust and other ingredients verified by our suppliers are gluten-free. Also please note that our kitchen operations involved shared cooking and preparation areas and guests should consider individual dietary needs when ordering. includes choice of sauce and mozzarella cheese. Tapioca Flour, Millet Flour, Potato Starch, Rice Flour, Pasteurized Eggs, Filtered Water, Canola Oil, Parmesan Cheese, Sea Salt, Garlic and Basil. Pesto, Bar-B-Q, olive oil, and homemade ranch and marinara. Mushrooms, artichoke hearts, baby spinach, bell peppers, red, green and white onions, tomatoes, kalamata and black olives, garlic, pineapple, jalapeños, chicken, pepperoni, Italian sausage, salami, crumbled bacon and ground beef.